is a delightful park for the young ones. It provides bundles of fun for the kids while you relax under one of thew many luscious green trees. It has a shallow pool- free of charge- where kids can splash about and cool off in. Another fun feature is the depiction of many nursery rhymes that the children become part of in their play. Situated in the historic heart of Old Town Wanganui, one block from the main street Victoria Avenue, Chronicle Glass Studio and gallery occupies part of a 1912 building that was originally home to the city’s newspaper. The former press pit is the perfect studio space where the public can view the glassblowing process then wander up to a mezzanine retail gallery area to browse the stunning pieces on display. Recognised by the NZ Gardens Trust as a ‘Garden of Significance’, the Bason Botanic Gardens is set in 25 hectares of landscaped countryside and includes one of the most extensive public garden orchid collections in NZ and unique conservatory architecture. 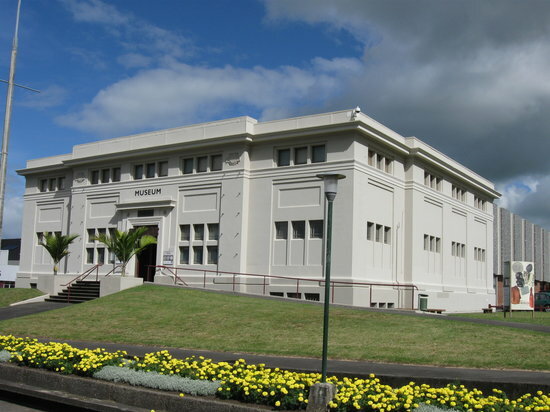 Set in the heart of Whanganui’s cultural centre on Queens Park, the Whanganui Regional Museum offers visitors a rare experience – a journey into the hearts and minds of the people of Whanganui, and a look at their treasures, their loves and hates, their everyday lives and their dramas, their history and their future.